When mice make their way into your home, preventing them from causing expensive damage is no easy task. If a mouse infestation is not dealt with right away, a small number of mice can turn into a massive population in a matter of weeks. 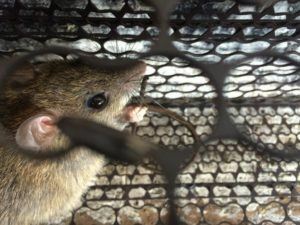 DIY mouse traps remain a popular option for homeowners, but these are marginally effective at best, and do nothing to address the root cause of the infestation. Hiring a team of mice extermination experts like those here at Critter Control® of Orlando to remove the mice from your home is the most effective, efficient way to go. Leaving urine and droppings throughout your home, which results in foul smells, staining of walls and ceilings, and can ruin attic insulation. Scratching and scurrying sounds that are distracting, and can even prevent you from getting a good night’s sleep. The potential to spread dangerous diseases like leptospirosis just through contaminating the air with their waste. The potential to cause damage to, and destroy important structures within your roof, including electrical wiring, which can put your home at risk of fire. The best, safest way to remove mice from your home is to call on the services of a professional mice exterminator. The technicians at Critter Control® of Orlando have the tools and experience necessary to rid you of your mice infestation, while keeping you and your family out of harm’s way. For any questions, or to schedule a complimentary home consultation, call us today at 407-295-7194.